Grovewood Gallery in Asheville will be hosting a demonstration and display by letter carver Clark Kellogg on February 19 and 20 from 11am – 4pm on both days. 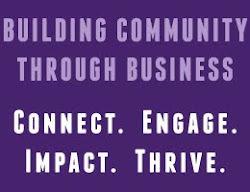 This event is free and open to the public. Clark Kellogg is an artist from Houston, Texas who specializes in letter carving in wood. 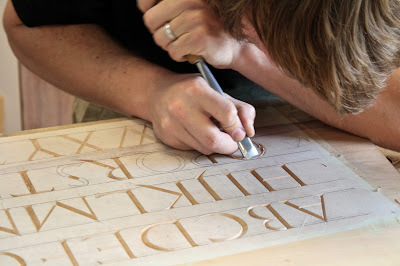 Letter carving has a long and rich history, but sadly today it is an almost forgotten art. Cutting letters by hand is a demanding process requiring skill and patience, but there is simply no substitute for the results that can be accomplished using a mallet, chisel, and gouge - there is a crispness and a subtlety that cannot be matched by machine. Kellogg studied letter carving under master carver Chris Pye and has been carving letters on commission and spec ever since. Some past lettering projects have included house numbers, dedications, awards, and signs. His work has appeared in Fine Woodworking, Woodworker West, and Letter Arts Review.